A new upgrade will be available soon from MallinCam. If you already have a MallinCam Hyper or Hyper PLUS Color or B/W, this upgrade will be available shortly. This new upgrade is not available as a new Model. You must purchase a MallinCam Hyper PLUS in order to get this optional upgrade. Price will be available soon. made for Video CCD Astronomical Camera. Full legal power Transmitter built in the wireless keypad for up to 100 feet in range as per FCC Rules and regulation. Design to work from -32 C. to +45 C. Built in antenna permits unobstructed operation of the wireless keypad. A neck strap is included so as a belt clip on the wireless keypad. Keypad weighs few ounces. Fully adjustable Thermoelectric cooler using a internal computer and Noise detector which analyze the signal based on dark current noise where the TEC activates without a temperature sensor. A 10, 30 or 60 seconds Peltier operation may be selected with a variety of ccd zones may be programmed where noise is most dominant to automatically active the TEC in any outdoor temperatures. A full variable threshold adjustment is included. No need for temperature sensor to regulate the TEC where cooling is limited. This new system is usable in all weather. A world first in Video CCD Astronomical Camera and the first developed and designed by Rock Mallin to bring you the ultimate live view in a MallinCam Hyper series. No one in the world has this new system for Astronomical Video CCD Camera. We developed a video ccd camera cooler that answers the many problems associated with cooled ccd sensor in video ccd camera offering long lasting operation of the MallinCam. A bypass switch will be available at the back of the camera to permanently leave the TEC on. Our Wireless keypad has passed all FCC strict rules and regulations with a label affixed to the back of each wireless keypad transmitters. A series of LEDs important information is located on the side of the camera. They included a flashing LED everytime a refresh is done for accurate count of refresh rates from 7-14-28-56 seconds integration. A times 4 multiplier LED indicator for the 28 and 56 seconds integration is provided. A Peltier cooler LED indicator lights up when noise has been detected and the TEC is activated after a refresh rate has passed by. The readout noise is done at every refresh rate of 7-14-28-56 seconds integration and turns on or off according the noise ratio detected. 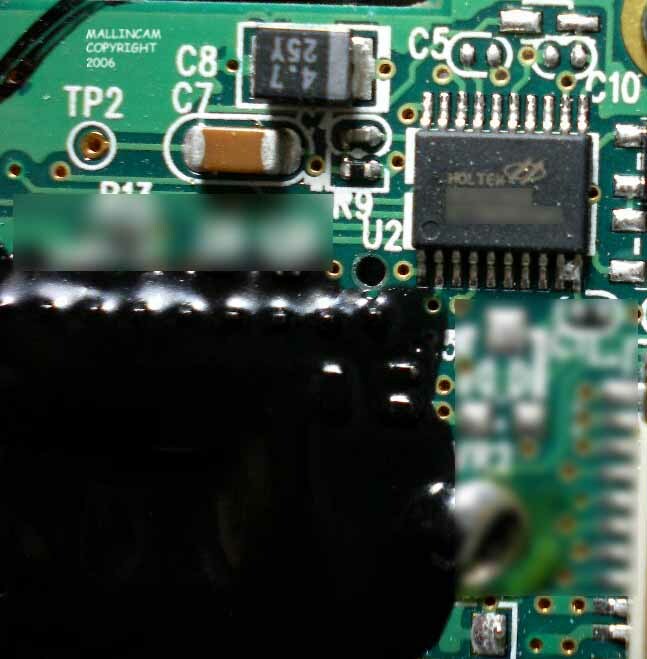 A new higher gain is now available in all current MallinCam Hyper PLUS series of Video CCD Cameras using a Holtek ccd amplifier and AGC control section. 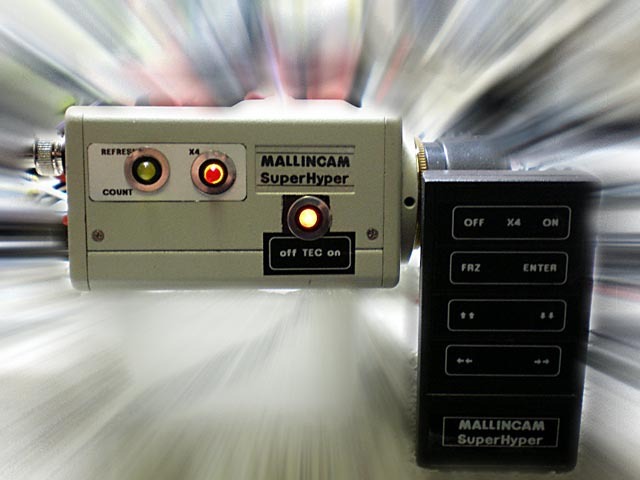 A MallinCam world first and developed by Rock Mallin for the MallinCam Hyper PLUS and SuperHyper. Only available on a MallinCam. All functions are still accessible though the rear buttons and are available on the screen menu and are RS-485 compatible with the exception of the Times 4 multiplier for the 28 and 56 seconds integration which has to be activated through the wireless keypad. Competition? What competition! There is only one Color Video CCD Astronomical Camera which has been designed and built by MallinCam that offer a extended shutter with automatic refresh in the world of up to 56 seconds integration. Anything else is simply inferior. All the cameras and upgrades are Hand crafted one a time and that will not change. You deserve the best and the MallinCam Handcrafted video ccd cameras are the answers to your needs of live observing or imaging when used with a computer adapter. Only MallinCam offers a Composite and S-VIDEO output which can be used at the same time for ultimate live reproduction of celestial object through a telescope. Watch this site for the release date for upgrades and further info.